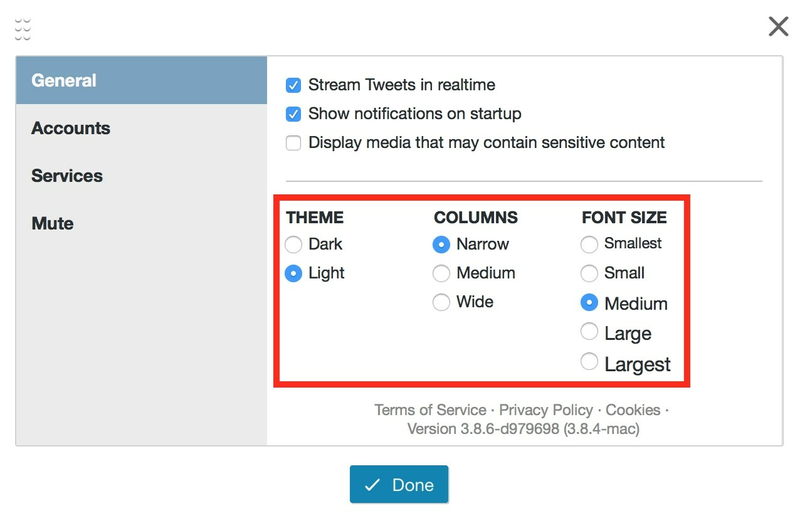 With the fast pace and many resources of Twitter Edu you may want to fit more content on your TweetDeck. To do this you can change the width of your columns and change the font size. Another customization option is changing the theme from Light to Dark. 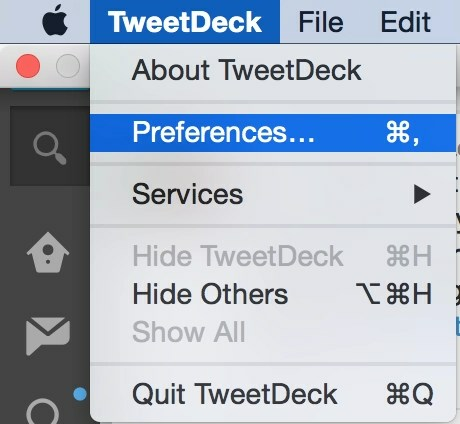 From the topbar click TweetDeck, then Preferences. Adjust your settings and click Done.